Just 10 weeks til tee off at Torrey Pines, The San Diego Union-Tribune writes that the Century Club and the PGA Tour are still on the hunt for a title sponsor for the Century Club of San Diego Invitational, formerly the Buick Invitational. 'Yet here the Century Club stands, a suitor spurned by numerous possible brides over the past three months. Not because the former Buick Invitational isn't handsome or worthy, but because Dad doesn't have enough money to pay for the wedding. 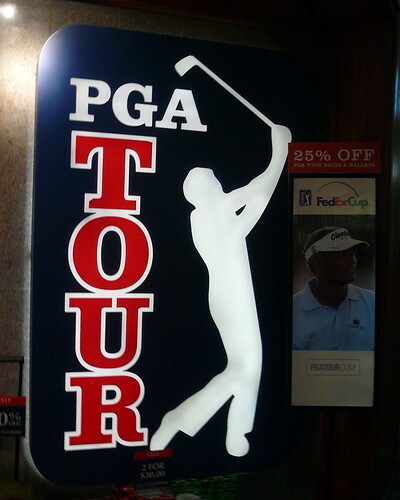 This is a dilemma far more dire than the concerns of the Century Club, and if the PGA Tour was slow in realizing that — and it's very clear now that it has been — the suits in the headquarters in Ponte Vedra, Fla., — and the players — are starting to come around. Tournament officials had previously said there goal was to have a sponsor on board by the end of September. While that deadline came and passed, officials say that several prospects are considering the opportunity. 'Now look at it from the PGA Tour's perspective. Over the next two years, the tour has around a dozen events that need to re-up with sponsors. If one of its premier events in San Diego is having so much trouble, what does that mean for everyone else? In September Deutsche Bank CEO Seth Waugh echoed similar sentiments on player compensation. What do you think? Does the search for new Tour sponsors need to start with adopting a wholly new compensation model for players?